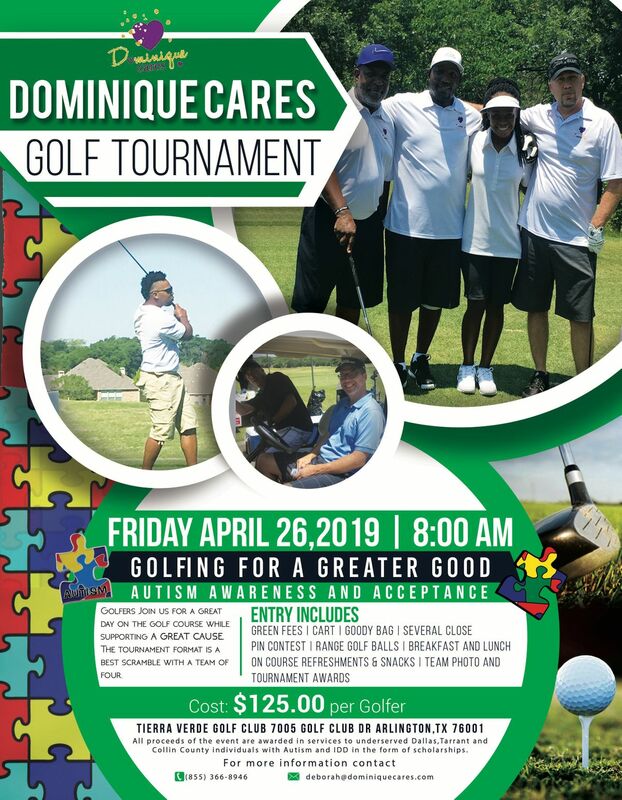 Golfing to support Autism Awareness,Acceptance and Action! Golfers join us for a great day on the golf course supporting a Great Cause. The Tournament format is a best scramble with a team of four. Entry includes Green Fees, cart,pin contest,lunch,goody bag,team photo and tournament awards. 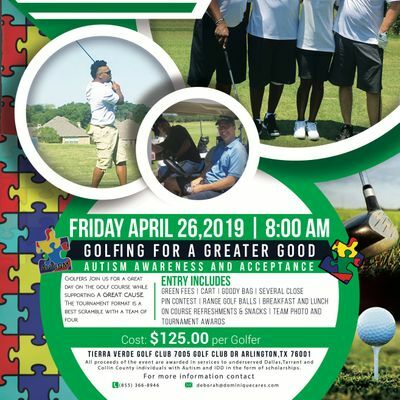 Proceeds will benefit individuals with autism and other disabilities.